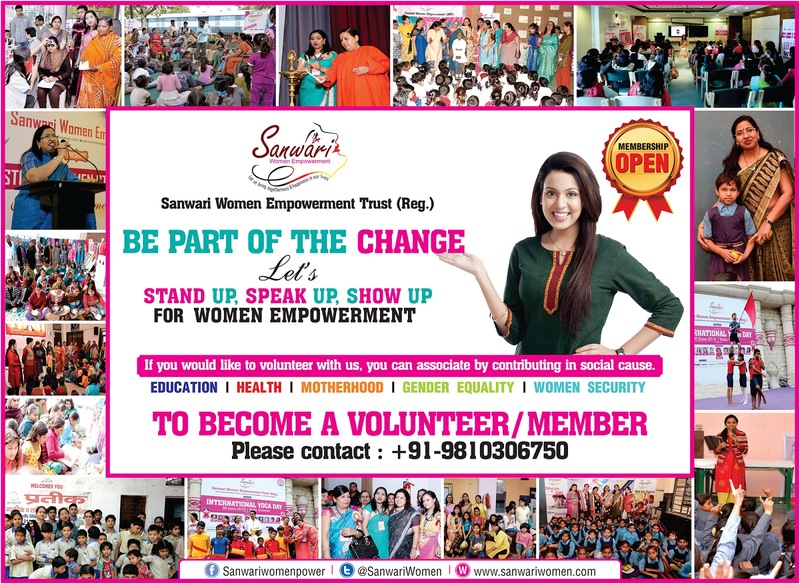 Sanwari Women Empowerment : BE PART OF THE CHANGE LETS STAND-UP, SPEAK-UP, SHOW UP FOR‪ #‎WOMENEMPOWERMENT‬. BE PART OF THE CHANGE LETS STAND-UP, SPEAK-UP, SHOW UP FOR‪ #‎WOMENEMPOWERMENT‬. THE CHANGE LETS STAND-UP, SPEAK-UP, SHOW UP FOR‪#‎WOMENEMPOWERMENT‬. TO become a Volunteer/ Member please make a call - +91-981-030-6750..